We visualize simple geometric beauty combined with mathematical content. 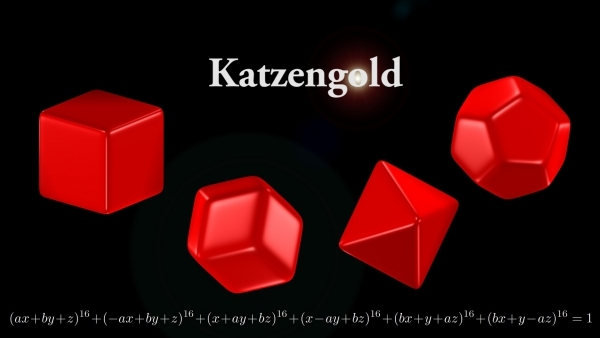 Using a single formula - a polynomial - the film shows fascinating transformations from a cube to a rhombic dodecahedron, to an octahedron and to a dodecahedron. It was created using the free software SURFER of the IMAGINARY open mathematics platform. We will also give a short presentation at Bridges, exploring the connection of Pyrite, Plato and the mentioned Polynomial.